Cheese board shmeeze board. Out with the old, and in with the new! 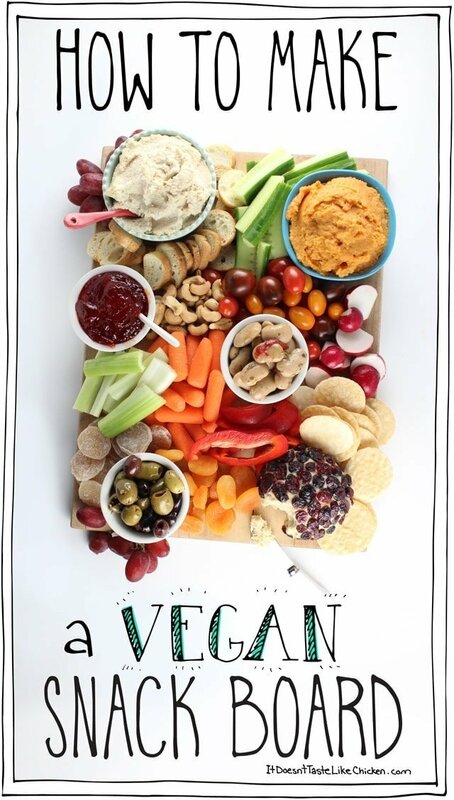 Right now, I’m all about a gorgeous Vegan Snack Board. So many colours! So much variety! So many scrumptious looking treats to pick at, I want them all! After playing around with this board, I discovered there are three keys to vegan snack board success. Lots of options! The reason veggies and hummus can seem boring is because it’s only veggies and hummus. Have lots of variety of dips, vegan cheeses, crackers, veggies, fruit, nuts, and dried fruit. The more variation, the more fun the board will be. Lots of colour. When selecting the options, make sure to select a variety of colour. Everything in the beige family won’t be very attractive. Plants are BEAUTIFUL, so make sure to showcase that. Get an array of fruit and veg so your board is bursting with colour. Salty and Sweet. 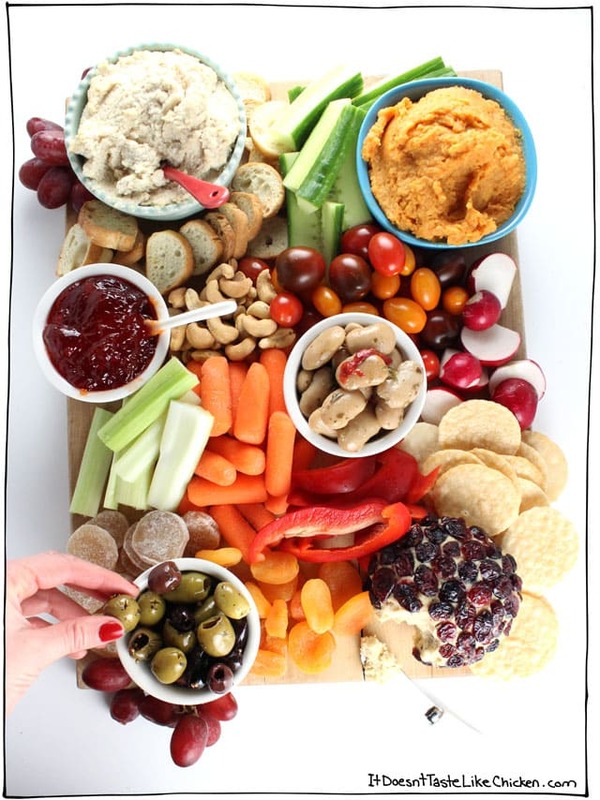 The vegan snack board has lots of salty and savoury flavours, but adding a few sweet surprises will take your taste buds for a ride. Add things like red pepper jelly, candied ginger, and dried apricots. These can be enjoyed separately, but one of my favourite combos is cashew ricotta topped with red pepper jelly. Yum! 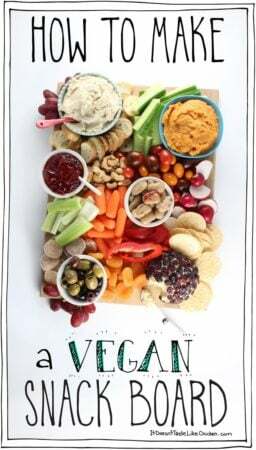 I love this vegan snack board because you can invest as much or as little time in it as you want. If you are short on time, feel free to purchase premade hummus and dips in your grocery store. 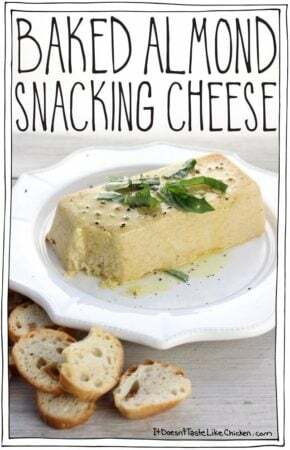 Maybe you will even be lucky enough to find an interesting vegan cheese! 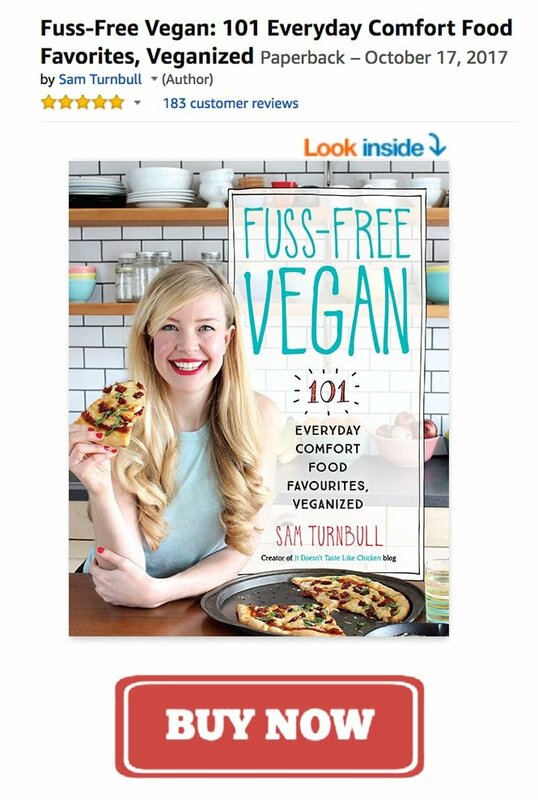 Or if you have more time, you can make your own dips and vegan cheese. Everything I made was prepared the day before. All party, no stress. To display your items, you could use a beautiful large cutting board, a nifty slate platter, or really any tray you have around. Just play around to make it your own. 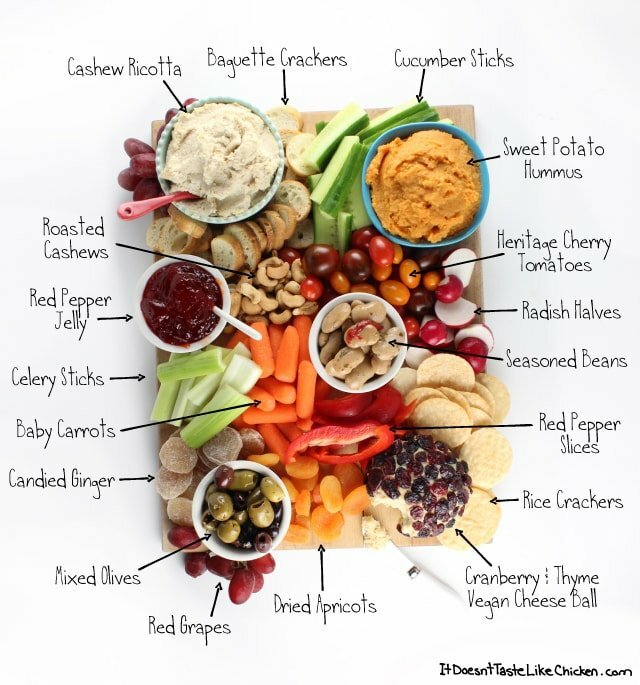 A rough guide to making your own vegan snack board. Feel free to adapt to your own tastes and needs. Arrange all of your selections on a large board or platter. If you don't have a large enough board, feel free to use multiple boards. Bon Appetegan! Ooooooh Sam! I could become a real hostess-type with this kind of board! Thanks for the info and attendant recipes. I’m curious about the seasoned beans. Is this a thing and I’ve missed it? Looks and sounds like such a delicious snack item. Do I just find the largest beans I can and marinate in … suggestions? Thanks for this awesome post! 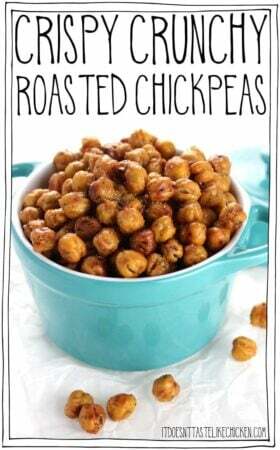 I’ve eliminated dairy from my diet and I’ve been wanting something just like this! 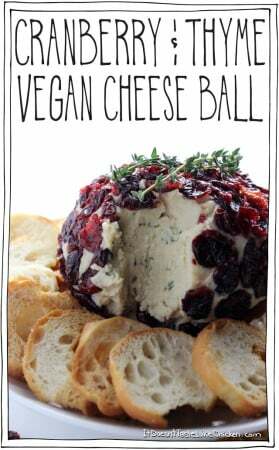 I’m excited about that cranberry thyme vegan cheese ball. Can’t wait to try it. Thanks for sharing! The Cranberry Thyme Cheese ball is so pretty! Happy holidays to you! 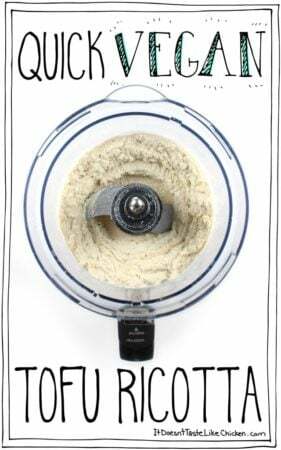 Still love your recipes and idea. I made a vegan snack board and the Cranberry and Thyme Vegan Cheese Ball. Both were a big hit. I provided links to them on my most recent website article. Aww lovely! So happy to hear it was a hit 🙂 Happiest of holidays to you as well! I love this post. It’s exactly what I do when I entertain, but I love how you broke it down. Your platter is gorgeous! Great idea and looks fabulous! 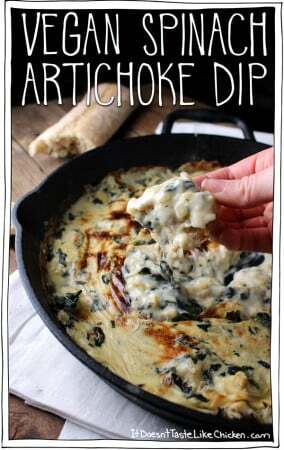 Sam, Does your website include recipes for the pictured cheesball and the cashew ricotta? Yes it does! 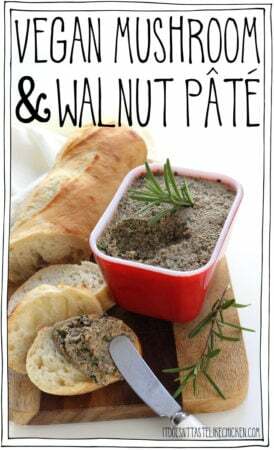 There are links to those recipes and more in the instructions (below the last photo of the vegan snack board, and above the comments). Oh I’m all about snacks! Looks great. love this post and idea… my favorite kind of eating! !